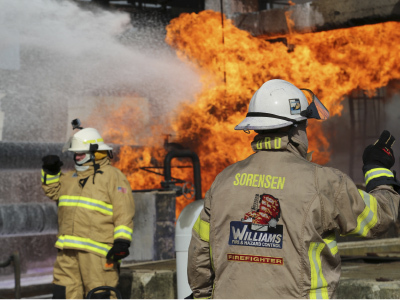 WILLIAMS FIRE & HAZARD CONTROL training support offers unique opportunities to learn proven effective tactics, incident logistics and equipment operations. Backed by insight from fighting over 250 different fire events, our response team brings back lessons learned from each flammable liquid fire they face. 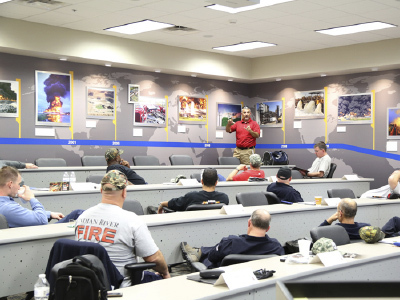 This knowledge is translated into fixed curriculum courses, industrial firefighting schools and customized corporate trainings that are constantly evolving to meet today’s firefighting challenges. In addition, many of our specialized training programs are recognized by Texas A&M Engineering Extension (TEEX) Service’s Cooperative Learning Center. 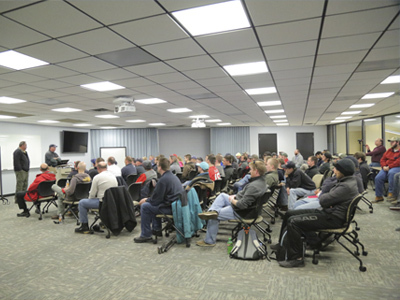 Open enrollment courses include, Pump Operations, Fire Ground Logistics and Storage Tank Firefighting, each providing a combination of lecture and hands-on exercises to fully develop concepts and enhance learning. Xtreme Industrial Fire & Hazard Training offers industrial firefighters the opportunity to test their skills, offering hands-on experience with multiple flammable liquid scenarios. Our team works directly with your staff to build customized training programs to meet the needs and requirements of your unique facility.